Remember the phone from yesterday that may or may not have been our first look at the Samsung Galaxy S4? It’s back, but this time on video. The owner of the device in question starts everything off with the back removed and battery out, in an attempt to show that this is not a dummy box and could indeed be real. He then places the cover on, fires it up, and takes us on a quick tour of TouchWiz to show off the About screen, snap some photos, and jump around this laggy mess. That’s right, the phone, at least in this video, fails to impress at any moment. Watch for yourselves. 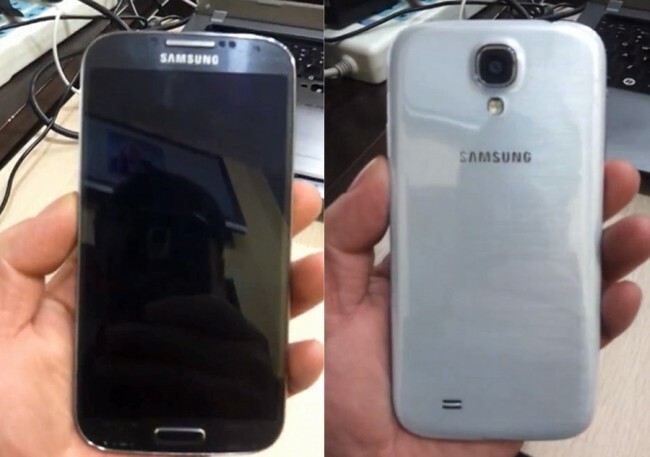 We still don’t know if this is truly the Galaxy S4. Samsung posted a teaser image of what may be the real device last night, and while this looks somewhat like it, the lack of an earpiece in the teaser has us wondering if this is no where near final. This phone also seems incredibly thick. Now, I know that Samsung is rumored to have packed in a 13MP camera, bigger battery, and Octa processor, but would they really put out their next flagship in this behemoth of a shell? On a random note, why the hell is this guy re-watching an Apple iPad highlight video in the background as he does this? It almost seems like he’s just trolling us at this point. Thankfully, we’ll know in two days. Samsung Teases Galaxy S4 Device Shape and Outline Ahead of Launch?